Do you love Bettie? Do you love Dynamite’s action-packed, wit-slinging take on the classic Pinup superstar? Love the gorgeous depictions of her famously fabulous figure on our covers? Well, then… Have we got the book for you! 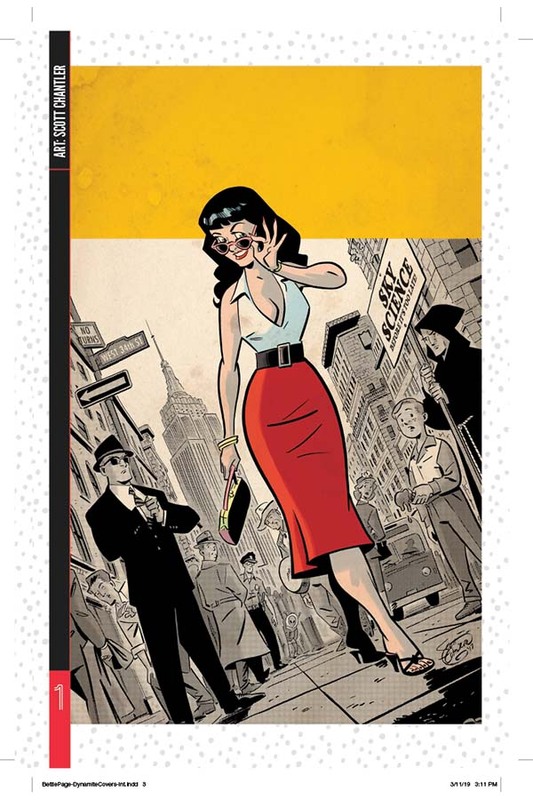 Collecting all art covers for our first volume of Bettie Page in one place, this book is a must-have for all Bettie fans! Featuring the art of renowned talents such as Terry Dodson, Joseph Michael Linsner, Scott Chantler, and more!